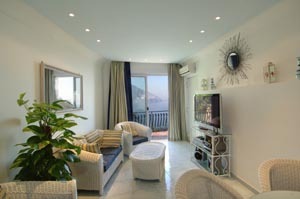 Positano apartments - cozy accommodations and vivid seaside colors! 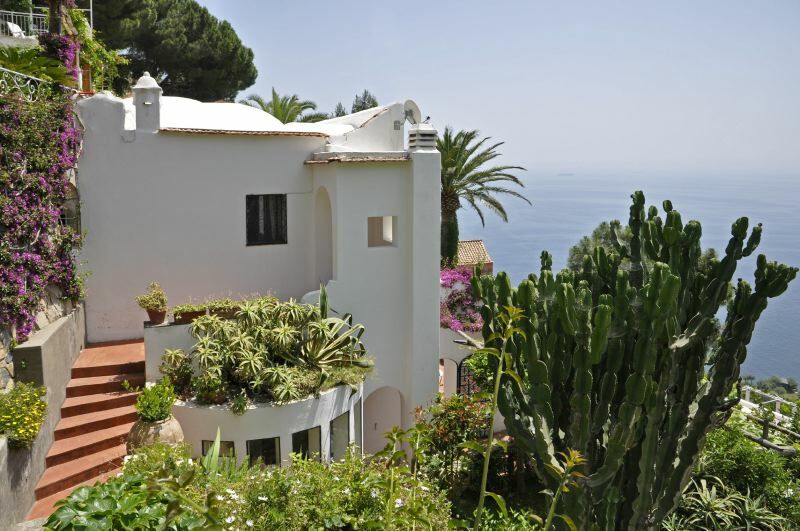 Have you ever dreamed of living the life of a movie star, relaxing in a sun-drenched beach town that overflows with rustic Italian charm and culture? 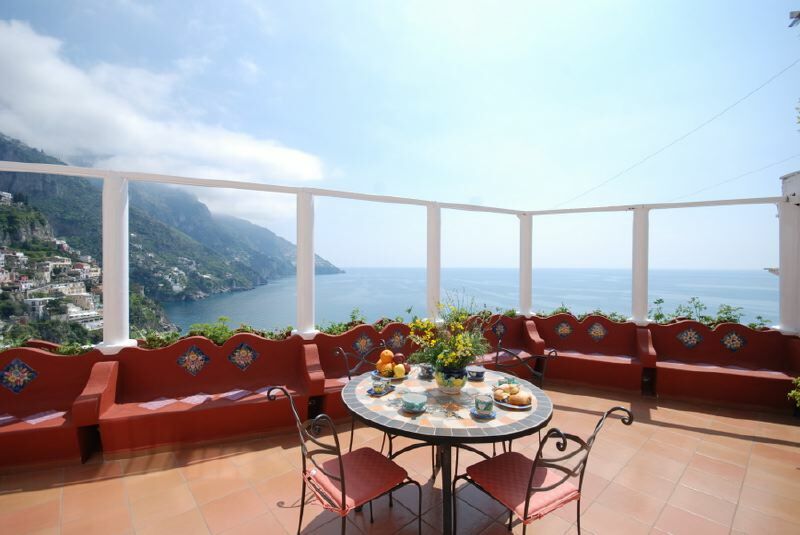 Try a Positano apartment, where you will feel as if you have stepped into heaven as you admire the characteristic Italian houses that greet the sea with brightly colored faces each new day. Positano is one of several villages on the Amalfi Coast of Italy, and its secluded location will truly offer you a getaway you will never forget. This town is the site of movies like Under the Tuscan Sun, and Only You, and you will fall in love with its beauty and friendly local people when you stay here. Mick Jagger of the Rolling Stones loved Positano so much that he penned the song Midnight Rambler in the relaxing confines of a local cafe. Take a dip in the warm blue-green waters of the Mediterranean Sean, or hop in your rental car to visit some of the other coastal towns up the road and embark on your own love affair with the city. From here it's easy to take a leisurely boat ride to seaside locations like Sorrento and Amalfi, or to spend a day on the famous island of Capri. Flowers grow in lush abundance in the mild climate of the Amalfi Coast, so be sure to take your camera as you visit the local churches, piazzas, and ports. Lemon, orange, and olive groves dot the countryside, and you will smell their fresh sweetness as you wander the town and try a taste of limoncello liqueur. The misty morning gives way to a sparkling day filled with laughter and joy in this care-free town, and it has been ranked among the best travel hot-spots in the world. Perhaps the most spectacular benefit of a Positano apartment is the private view you get of the blended colors of the sun set as it goes down gently into the Mediterranean waters. 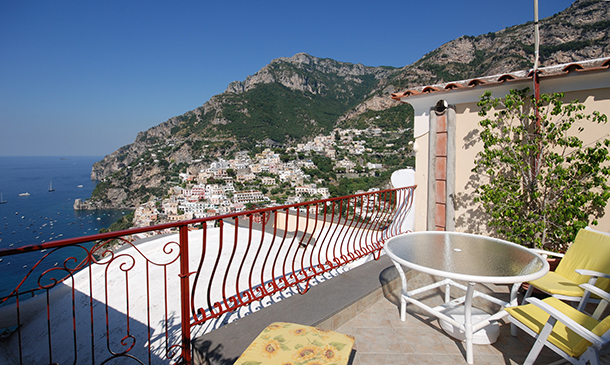 If you are planning a visit to Positano, we invite you to review our catalog. If you would like, please contact us. One of our experienced specialists will get back with you to help locate the right accommodation. 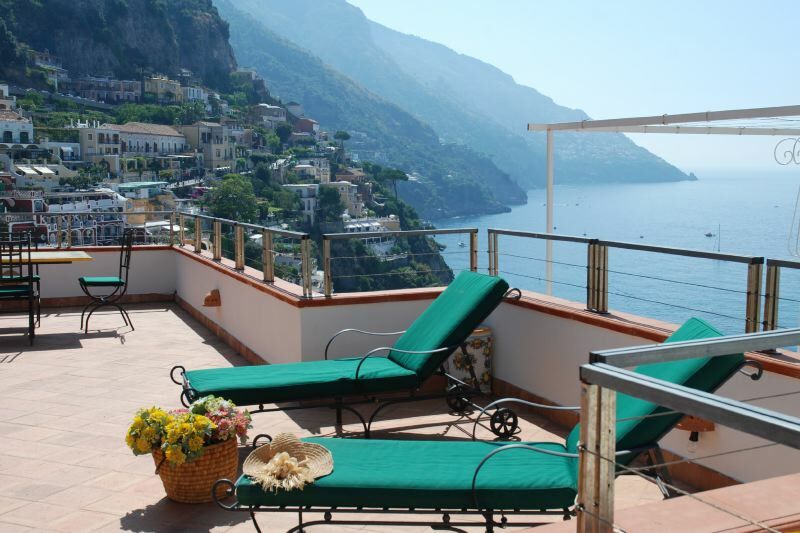 Use our search page to find a Positano apartment rental - Enter your dates and requirements and review our list of quality vacation rentals. When you see some you like, you can send us an inquiry or reservation request. Want to travel advisor familiar with Positano? Complete our simple contact form - Tell us a little about what you would like to do, and we will take it from there!